When it comes to real estate, timeshares are something of a joke. A timeshare allows you the right to spend a certain amount of time at a particular property, usually a high-end resort. However, there are usually restrictions surrounding the use of the property. The purchase of a timeshare is usually considered a poor choice, since they can be hard to unload, and since they depreciate in value so quickly. If timeshares are such a bad deal, how is it that so many people have them? One of the reasons is that those selling timeshares are smart about how they reel you in. You might be invited to a free presentation, located on a property. You might be asked to stay for one or two nights, get a nice tour, and have access to the high-end facilities. Many of these companies get you to come stay for a low price (or even for free) and then pressure you to buy in at prices of $10,000 or more… sometimes much more. Of course, there are some ways to get a timeshare for less. If you can buy a timeshare for much less, it’s not such a bad deal. You can look for those hoping to sell timeshares they have bought. This is where the rapid depreciation of a timeshare works to your benefit. 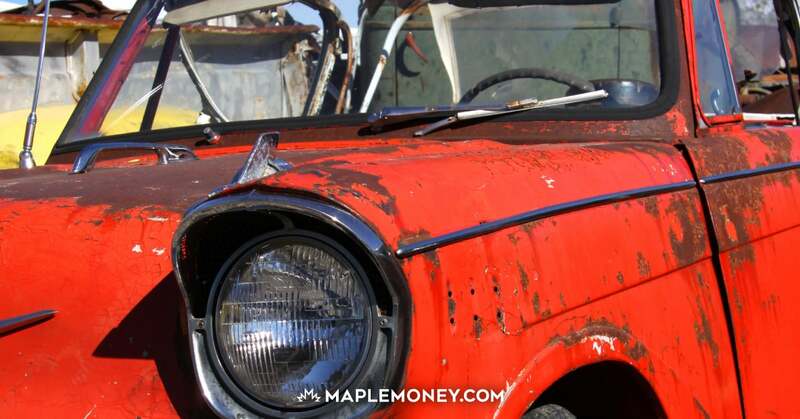 You can find good deals if you know where to look on the secondary market. People who have bought them resell them on eBay or other online sites. Unlike traditional real estate, timeshare prices depreciate immediately after purchase. Some of these sell on eBay for as low as $1.00 US. Watch out, though! There are usually a whole range of fees that come with timeshares. 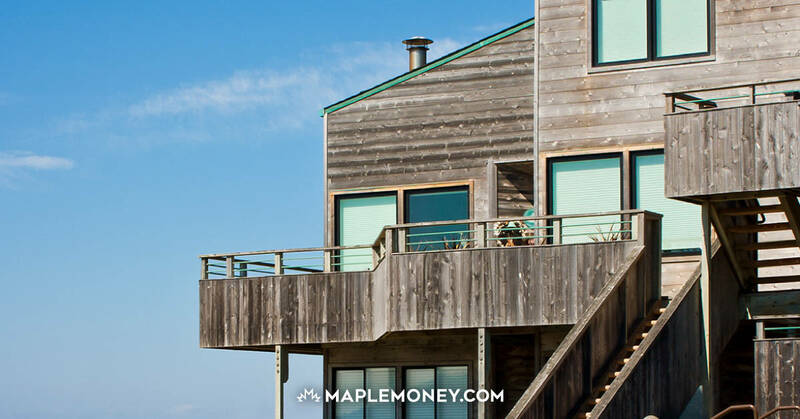 You might be required to pay the current year’s maintenance fee at purchase time, or you might possibly be on the hook for closing costs and transfer fees. All these costs might also be covered by the seller, depending on the auction. Be sure to read carefully to ensure that you understand the terms and requirements. Concerned about having to stay at the same place every year? You could join RCI or Interval International. These companies allow you to convert your timeshare to a points value depending on the supply and demand of your resort. These points can then be used to stay at other timeshares in the program. RCI is so commonplace that the eBay auctions often have the points value included in the listing. When bidding on timeshares, look for “deeded” properties, as these will give you ownership of the week, registered similar to real estate. The owner can sell, rent and will the property to others. I would suggest not getting “right to use” properties as these are only in effect until a lease until a certain date. You want to make sure that you will at least have better access and ownership of the property with a deeded timeshare. Before purchasing a timeshare, you might want to consider joining the Timeshare Users Group.  This website costs $15 to join but will give you ratings and reviews from other timeshare owners. As with any purchase, it’s important to make sure that your timeshare purchase is well-researched, and that you try to get the best deal for the money. I must agree there are many different options to buy timeshares other than purchasing them directly from the resort. I would recommend buying from a timeshare resale site with a good reputation though instead of ebay, many people have been ripped off using timeshare auctions. Timeshares are one of the best-selling products in the hospitality industry. There are thousands of units available and millions of people have bought one. However, timeshares have been hardly criticized due to the high-pressure tactics that are used by the salespeople to sell the properties. To improve their reputation, many timeshare companies, along with some travel agencies, have launched in the market numerous timeshare deals and vacation packages in order to attract new prospect buyers. Timeshares? – you’ve got be kidding – RUN the opposite direction as fast as you can. No deal is the best deal when its comes to these money sucking adventures. Bank whatever dollar amount you were going to “invest” and use the income from that to either rent the darn thing (timeshare) on your schedule or spend it on another vacation. The unit interchangeability is a marketing myth right up there with unicorns and will cost you more than a decent vacation. Tom, I’m VERY disappointed in your column – your street cred has taken a major hit. fbgcai, I’m not sure you got the point of the article. Timeshares under normal conditions are terrible, but you can get them for next to nothing in the secondary market. That just leaves the maintenance fee. If that fee is less than the price of a hotel for the same timeframe, then it’s a good deal. Tom, I disagree with some of your readers. Yes there’s pros and cons to everything in life. We bought a time share when our children were young. Not having to worry about where to go and the kids loved it. We did save a lot of money. Now that the children are older and I have left my husband (he’s a alcoholic) I use my timeshare in other ways. It’s paid for and all I have to pay is a yearly maintenance fee or monthly, which I can use the timeshare or let one of my children use it or let a friend use it or rent it to cover the maintenance fees. It’s a win win situation. I also have the option to go anywhere around the world when I can afford it through RCI. I think some bought these timeshares and didn’t really think about what it meant. It is an investment into your family and friends and yes it does take a little planning, but it’s worth it in the end. There is no question that the reputation of the timeshare industry is fraught with controversy over products offered, knowing comparable prices before buying, full disclosure regarding the implications and details of timeshare contractural obligations at the time of purchase, questionable predatory sales tactics, and the way prospective buyers are treated when they say “no”. Treatment varies with the selling organization. Reputations are damaged now through the ready use of the Internet to describe experiences and mistreatment. Timeshare developers are becoming aware of just how damaged reputations hurt sales. This discussion can become heated and go on into the night! That said, as other viewers have pointed out there are many good aspects to timeshare ownership when purchases match objectives. All purchases should be entered into with a plan and reason for making the purchase. Timeshare purchases can be impulse purchases, and buyers need to be careful about making commitments when they have not thought through the reason for the purchase. My wife and I were walking a mile long beach last week and saying to ourselves there is no we we could afford buying a property with so much exposure to the ocean and beach. It was in Mexico, Nuevo Vallarta to be specific. The value of our purchase is reinforced every time we visit and every time our family of nine grand kids, five children and four spouses join us, each in their own unit. We have been going to this place since 1999 and have not gotten tired of it, not even one little bit. Yes, we are lucky. Good health, love of the outdoors, active, and energetic. Timesharing is not for everyone, but it has certainly been good for us and our extended family. I agree with Kimberly. Timeshare is not for everyone, but it’s worked very well for our family. If a job or something else doesn’t let you plan well in advance, it probably won’t work for you. We book anywhere from 8 months to as far as 13 months out. We’ve stayed in prime locations at prime times all over the world at a fraction of what it would cost to rent and without the hassles. One place we’ve stayed in several times in Hawaii rents for up to $5,000 a week. We stay for the equivalent of a $1,500 maintenance fee. The key is to buy resale & plan well in advance. In reply to fbgcai…. As with all things there are good and bad. There are also parameters or rules to work within. We own deeded timeshares at Whistler. Purchased on the resale market as Tom suggests. We paid less than $5,000 each for two, prime ski season, two bedroom units. “New” they were $80,000+ each! Never seen them, never will. Every single year for the last seven years we have deposited them in a trading club (Raintree) and get 10 weeks at four and five star resorts. Yes, five for one. Maintenance fees? $1600 Canadian a year, total. They have DECREASED the last two years as well! Try to rent a nice full kitchen beachfront condo in peak season anywhere for $160 a week…. Point being there are many different ways to own timeshares. Buy from a developer at a resort in Mexico etc and your right, no unicorn. The unicorn is however actually alive and well IF you buy the right one on the resale market AND are willing to plan ahead! 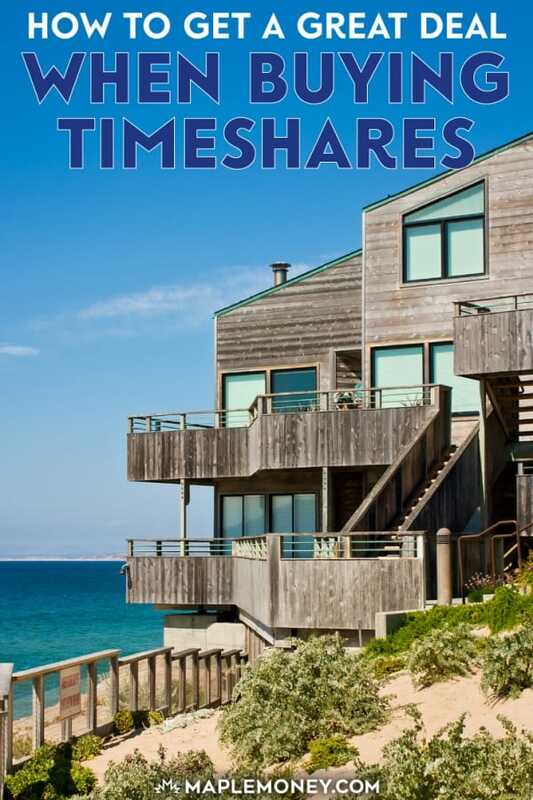 Timeshares are not an investment that you hear much about on the finance web blogs. However, I can see how owning a timeshare that you can rent out to other people as a potentially good investment or income stream. Thanks for putting this post together. As a general rule in life, stick to this: If a “deal” is so hot today, it should be just as hot tomorrow, after you’ve had a chance to review the numbers with your CFP® Professional. If the “deal” is only available today, thank them and politely walk away. Applying this rule, ALL new time shares should be passed on, and, it’s entirely possible that a used time share, purchased at the right price, could represent good value.